Manchester: Manchester United preserved Ole Gunnar Solskjaer’s unbeaten start as manager with two goals in the final five minutes of a dramatic 2-2 draw against Burnley on Tuesday. The result ended Solskjaer’s perfect streak of eight successive victories since the Norwegian took over from the sacked Jose Mourinho before Christmas. But Solskjaer remains unbloodied in his interim spell after Ashley Young sent over a 92nd-minute cross, Alexis Sanchez’s header was saved by Tom Heaton and defender Victor Lindelof pounced to net the last-gasp equaliser at Old Trafford. Earlier, Solskjaer’s magical touch seemed to have deserted him when Andreas Pereira, handed just the third league start of his career by the manager, gifted Burnley an opening goal after 51 minutes when he received a pass from teammate Phil Jones and was immediately dispossessed by Burnley’s Jack Cork. United ensured a thrilling finale three minutes from time when Jeff Hendrick was judged to have brought down Jesse Lingard and Paul Pogba stroked in the penalty. Pogba then produced a magnificent shot that appeared destined for the top corner until Heaton made a stunning save. But United’s pressure was rewarded by Lindelof in the final moments. United stay sixth and sit two points behind fourth-placed Chelsea, who have a game in hand in the race to qualify for the Champions League. It looked like being the start of another successful outing for Solskjaer and his team, but Burnley, vastly improved in recent weeks under Sean Dyche, clearly had other ideas. Jones was required to make a superbly-timed tackle to deny Barnes as he lined up a cross from Dwight McNeil. And although United ended the first half looking in control, all too often, they ran out of ideas in the final third. Pogba had the ball in the net after 38 minutes only for the goal to be ruled out for an obvious offside, while Juan Mata shot wide from long range. Mata, again, tried his luck from just inside the area with an effort that was well saved by Heaton, who did likewise moments later from Pogba’s curling effort. 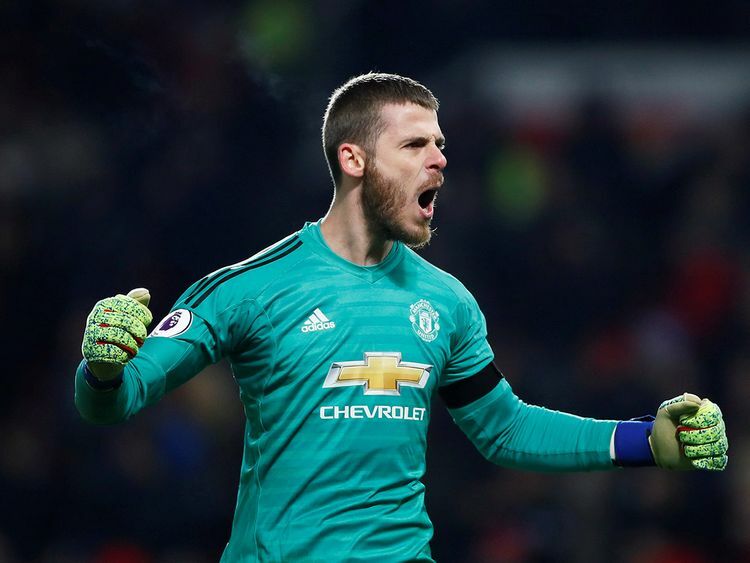 The shock of falling behind certainly did not dull United’s attacking endeavour, with Rashford first forcing Heaton into a parried save from 25 yards and then driving a low shot just wide of the post. In what was becoming an open and entertaining affair, the impressive Burnley youngster McNeil responded with a spectacular 30-yard strike that brought an equally brilliant punched save from de Gea. Solskjaer responded by sending on Lingard, another player the United manager had opted to rest, who replaced the hapless Pereira and was quickly followed by the introduction of Sanchez as United chased the game. The pressure predictably mounted thereafter, with Heaton making a breathtaking save at the foot of his post after Lukaku had appeared to have flicked in Young’s near-post cross after 66 minutes.